Looking for private in-home or in-studio Flute lessons? Our Chino Hills teachers are ready to get you started. Find your teacher today! Check out some of our most popular teachers near Chino Hills, CA including Riverside, Corona, Rancho Cucamonga, Fontana and Redlands. My goal as a flute teacher is to give each student a very well rounded and thorough understanding of the instrument. Lessons will be tailored to each student and will include the following: knowledge of instrument care/maintenance, tone production, technique (scales, etudes, etc), musicality, music theory, and a variety of repertoire from classical to pop. I have over 14 years of experience in teaching flute and piano to students of all ages and levels. My goal as a flute teacher is to give each student a very well rounded and thorough understanding of the instrument. Lessons will be tailored to each student and will include the following: knowledge of instrument care/maintenance, tone production, technique (scales, etudes, etc), musicality, music theory, and a variety of repertoire from classical to pop. *** If you would like to purchase lessons with me and don’t see a time that works for you, feel free to send me a message so I can add you to my wait list. My schedule tends to change often, so I will try to accommodate anyone that is dedicated and serious about taking lessons. ***I can currently only accommodate weekly lessons. Requests for lessons that occur other week will not be accepted. t the Zoltan Kodaly Pedagogical Institute of Music in Kecskemet, Hungary. In 2013, I graduated from California State University, Northridge with a Masters degree in Flute Performance where I studied flute with Sandra Kipp. At CSUN, I performed in the Wind Ensemble, Symphony Orchestra, Wind Symphony, Northridge Flute Quartet, and various chamber ensembles. I currently reside in Irvine where I teach private flute and piano lessons and perform with local ensembles. My goal as a music educator is to foster excellence in the art of music through private instruction. I have worked with students of all ages ranging from 5 to older adults. In my studio, students will have a well rounded music education. This means that we will work on a variety of things such as sight reading, music theory, music history, and a wide range of repertoire (from Beethoven to the Beatles!) While I have high expectations for my students, I do my best to keep the lessons relaxed and lighthearted. My hope is that the student is always engaged and interested during lessons. 2. Don't be afraid to ask questions and make mistakes. This is non-threatening territory, I'm here to guide you and help you. Remember that mistakes happen, we're human. Just be sure to learn from those mistakes so that you can take something away from each experience. 3. For parents-- BE INVOLVED! I can't tell you how often I've seen younger students excel when their parents were proactive in the experience. This means encouraging them to practice, coming up with a rewards system, and even sitting in on the lesson to take notes. This way, you can reinforce what we accomplished during the lesson at home together. It's difficult for music teachers to compete with iPads, Playstations and television, so let's get creative together! Flute students must own a well maintained flute, as an instrument that is out of adjustment causes frustration and can initiate bad habits. In addition, the student must also have a metronome and tuner, a music stand, flute repertoire, and an assignment book for me to write down each week's assignments. Piano students must have a working acoustic piano or digital piano in their home for piano lessons. The student must also have a metronome, piano repertoire, and an assignment book for each week's assignments. Sheila is the best piano teacher I've ever had. I just hope she will not lose her sanity over me. All ages and levels of students. Classical performing and recording artist Michelle M. has openings for flute students of any level, from beginner to advanced. Michelle has performed worldwide as a soloist and chamber musician. As a teacher, she focuses on learning skills correctly from the beginning, with emphasis on good tone production and healthy body mechanics. She also works with high school students preparing college auditions, and has regular recital opportunities for all students. "I love teaching private lessons. It's so much fun watching students grow musically and emotionally! My teaching style emphasizes learning CORRECTLY from the beginning, so that bad habits don't form, such as bad posture which can lead to pain down the road. I also pick music which the students know and enjoy, so that playing daily becomes a fun ritual for them. ical skills such as theory, composition and improvisation are also part of my teaching style. These things strengthen a student's overall musical knowledge and enjoyment. I also highly recommend that students listen and watch flute performances, either recordings or live concerts. 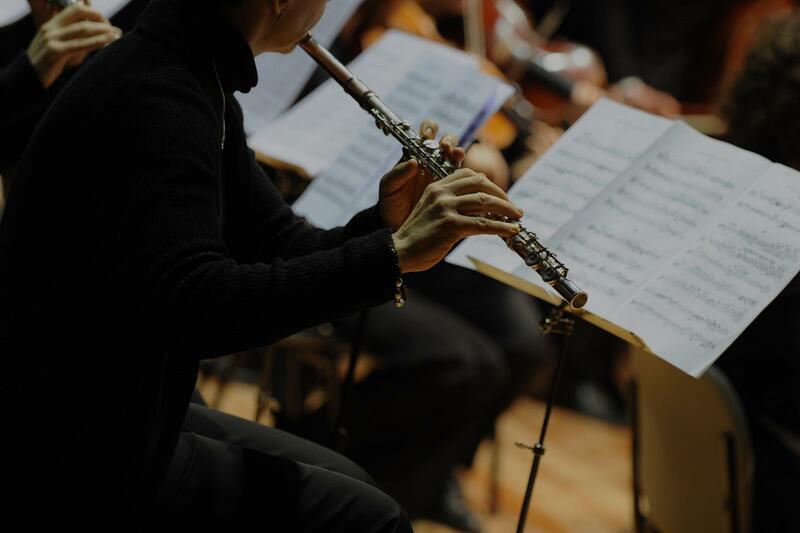 "Of course, the best part is playing, and I encourage all students to perform as much as possible, whether in my student recitals or in outside concerts. I offer many opportunities for performance, and help prepare students for their own band or orchestra concerts as well." Michelle is a great music instructor. It is hard to compress so much in an hour but she makes it work. My daughter takes lessons for her flute auditions and it really builds her confidence and flute skills. I look forward to seeing her grow musically and continuing with the lessons. The only bad thing is I wish she lived closer! Michelle is a fantastic teacher! My daughter has been taking lessons with Michelle for 2 years during the summer months as a supplement to her regular lessons. Michelle has a way of making music fun and enjoyable so that my daughter doesn't get bored or burnt out. Her teaching style is an amazing mix of both fun and effective so that my daughter comes away from her summer lessons with new skills beyond my expectations. I highly recommend Michelle! In lessons, I will teach students how to develop an embouchure and make sound, have proper technique, discuss equipment care, how to read music and develop note recognition, and ultimately, play music. The goal is to get my students playing with proper technique, so that this will carry on throughout their career and playing of the instrument. After getting some sounds out of the instrument and having decent technique, students will be assigned 1-2 songs to work on each lesson. It is the learning of music on one's own, that I believe, truly challenges the student to continue to apply information given in lessons. Hi! I'm Eric, a Saxophonist, Composer, Singer, and Teacher that was born and raised in Southern California. I've been playing the saxophone for over ten years now, writing music for as long as I can remember, and singing since I was in elementary school. I play for a variety of groups in Los Angeles, and sometimes perform in L.A. and surrounding areas at venues such as The LightHouse, Saint Rocke, Hotel Café, The Study, Avalon, The Mint, the Baked Potato, and more. I keep my lessons fun, efficient, and applicable. I give students assignments to work on, not only so they don't forget what we talk about, but also so they can expand upon the concepts given in lessons, (which familiarizes them more with the information). I look forward to helping you unlock your potential! My son was very happy with the lesson and his self-esteem jumped upwards 100% Thank you, Eric! Eric is an excellent teacher. He is very knowledgeable and very thorough when he is teaching his students. He is very talented and player numerous instruments. I would recommend him to anyone for lessons. Can't find a teacher in Chino Hills, CA? San Bernardino, CA teacher: Michelle M.
nd it really builds her confidence and flute skills. I look forward to seeing her grow musically and continuing with the lessons. The only bad thing is I wish she lived closer!" fective teacher. My daughter really enjoyed her lessons with Michelle - it was always a bright spot in her busy week. She benefited from Michelle’s guidance outside of lessons also – recitals, entering and placing in solo competitions, and auditioning and playing for the Los Angeles Youth Orchestra. We felt so lucky to have found Michelle – she was an excellent teacher and a wonderful role model - teacher, musician, mother. I recommend her very, very highly." what a difference it has made! Elaine shows improvement after every lesson and she just LOVES Michelle. She is patient and kind, and very motivational. She has a knack for reaching Elaine and bringing out the best in her. Thank you, Michelle!" 30-minutes class with her optimism, encouragement, and outstanding knowledge. Michelle is fantastic by making flute lessons interesting! Thank you very much!" ssons. Michelle has a way of making music fun and enjoyable so that my daughter doesn't get bored or burnt out. Her teaching style is an amazing mix of both fun and effective so that my daughter comes away from her summer lessons with new skills beyond my expectations. I highly recommend Michelle!" my technique and skill enormously, but also acted as a hugely supportive, warm and funny presence in my life. Michelle genuinely cared about my progress and very patiently guided me through years of instruction, offering constant encouragement. She always made sure I was thoroughly prepared for every recital, music competition, or youth orchestra that I participated in, and helped me pick music that I always enjoyed playing and practicing. She was also very thoughtful and hands-on in terms of helping me choose a new flute, a music camp, etc., which my parents and I greatly appreciated. During my time with Michelle, I felt that my lessons were excellently paced—she knew when to push and challenge me, but also made sure I was comfortable with the material, and didn't rush me if something proved more difficult. Over the years, we progressed through theory, breathing techniques, scales, playing with an accompanist or another flutist, etc. in a way that felt very natural and appropriate. Additionally, the relationship we built became very important to me as a student. There were several times that, as an overextended middle- or high-schooler, I seriously thought about quitting flute—but the idea of stopping lessons with Michelle was sad enough to make me reconsider each time. I truly appreciated how much she cared about me both as a musician and as a person, and was thankful in the end to have kept playing with her as long as I did. Michelle is easy-going and knowledgeable, kind and talented, understanding and wonderful. I will always be so grateful for the kind of instruction and encouragement I received from her—she helped me grow as a musician in every way. Thank you so much!!" ving already completed a bachelors and masters degree in flute performance I was looking for someone nearby with the skill, education, and performance experience to help whip me back into shape. Michelle has been able to help me identify and strategize realistic performance goals that take into consideration both my extensive background and my need to re-enter music performance in a low-key way that balances my desire to use music as a creative outlet with having limited time as a parent and professional in a field outside of music. Michelle has given constructive feedback and guidance in using standard flute literature, etudes, and other technical exercises to facilitate me in regaining proper technique and tone production. It has also been a joy to play duets with Michelle and have the chance to practice intonation, musicality, and playing with a high quality musician, as music is meant to be played and shared with others. Having the opportunity to build musicianship in this way with an individual of her caliber has proven beneficial." "My daughter really enjoys her flute lessons with Eric. He makes her feel comfortable and confident. She even likes the fact that he gives her homework!" San Bernardino, CA teacher: Eric C.